"Enthusiasm is the key to unstoppable success!" Motivating audiences has always been an important element in the life of this dynamic radio and television personality and inspirational speaker. Sonny travels across the country and around the globe to entertain and inspire both on stage and on the air, traveling from San Antonio, Texas. Twice named Billboard Magazine's "Radio Personality of the Year," his enthusiasm for life is evident as host of various radio and television programs. In addition, he was awarded the honor of Hispanic Radio Personality of the Year by Ricardo Montalban and the National Nosotros Organization. He was inducted into the Texas Radio Hall Of Fame and has the honor of being included in the Rock & Roll Hall of Fame as one of the Top 100 Radio Personalities of All-Time. Melendrez has hosted drive-time shows at some of America's great radio stations, including KIIS, KMPC, KFI, KMGG, and KRLA in Los Angeles. 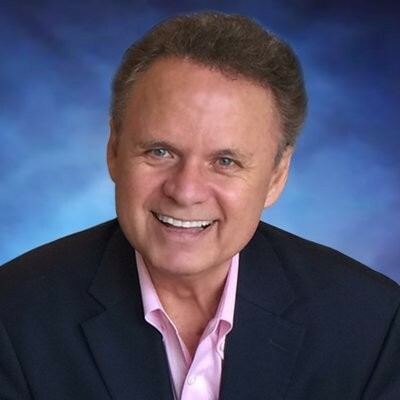 Blessed with multiple talents, Sonny is equally at home serving as TV host, actor, radio personality, writer, commercial spokesman, comedian, motivational speaker, or cartoon voice artist. His inventiveness and energetic style make him a much-sought-after performer. A high level of credibility has made him a popular TV and radio spokesperson for companies like Disney, Pepsi, McDonald’s, Sears and Sprint PCS, to name a few. Sonny is comfortable in front of any audience. He has hosted or been featured speaker at such prestigious events as the White House Hispanic Heritage Awards; the National "Just Say No To Drugs" Rally at the Washington Monument; and the USO 50th Anniversary Gala at the Ambassador's Palace in Paris, France with guest of honor, the late Princess Grace of Monaco. As host of the award-winning children’s television series, ‘You And Me, Kid,” on the Disney Channel, Sonny displayed his natural talent for working with children. Sonny's ability and willingness to rally people behind a cause is one reason he is involved in so many charities, both locally and nationally. He was named Inc. Magazine's "Socially Responsible Entrepreneur of the Year" and awarded the “2000 Marketing Philanthropist Lifetime Achievement Award" by the Sales and Marketing Executives of San Antonio. President Ronald Reagan commended Sonny for his efforts in the war on drugs and he received the National Director’s Community Leadership Award by the FBI. In 1990, in recognition for raising tens of thousands of dollars for youth scholarships, he was named "El Rey Feo" (The People's King) and presided over the annual week long Fiesta celebration in San Antonio. Programs that benefit children have always been a priority for Sonny Melendrez. One of the projects of which he is most proud is the children's version of "We Are The World," which he created in Los Angeles in 1985. Over 1500 children participated in the recording and video, and proceeds from record sales benefited USA For Africa. Sonny received a Grammy nomination for "Best Children's Recording." The City of San Antonio named the Sonny Melendrez Community Center located on the city's West Side in his honor as way to say “thank you” for his community involvement and commitment to disadvantaged youth. The Sonny Melendrez Children’s Foundation was created in 1998 to help disabled and disadvantaged youth in San Antonio. It is estimated that he has helped to raise over 100 million dollars in cash, goods and services for local and national charities during the last 25 years! Sonny is truly the man of a thousand voices. As a teenager he discovered an uncanny ability to imitate and create character voices. He has provided the voices of several characters in Hanna-Barbera's "Jetsons" cartoon series; created many of the sounds heard in the Gremlins movie; was the bug who yelled "Oh, no! It's RAAAAAID!" in the popular TV commercial; played opposite Walter Mathau as the voice of Bob Cratchet in the animated TV classic, "The Stingiest Man in Town"; and was even the voice of the infamous Fred the Cockatoo in the 70”s NBC TV series, Baretta. He was chosen from a field of over 140,000 as the new voice of the Parkay Margarine Talking Tub! Recently, after a nationwide search, Sonny was chosen to provide the voice of Jerry Seinfeld in a campaign promoting The Bee Movie Game for ActiVision. Colleges, universities, school districts, and corporate groups of all types have been inspired by Sonny’s captivating motivational presentations. His topics are designed to fire up team members, teachers, students, parents, and companies to get involved and make a difference in the world around them. In his book, “The Art of Living With Enthusiasm!,” Sonny offers the powerful benefits to be found in optimism and a positive work-life balance through personal and powerful stories of encouragement, empowerment and unstoppable enthusiasm! Department of Justice Modern Day Hero Award - Honoring his tireless work against bullying, drugs and illiteracy - over 1500 nationwide school presentations. Find out more about Sonny Melendrez at http://www.SonnyMelendrez.com.